This week Brian made his second trip for wreath greens to Whitefield NH. 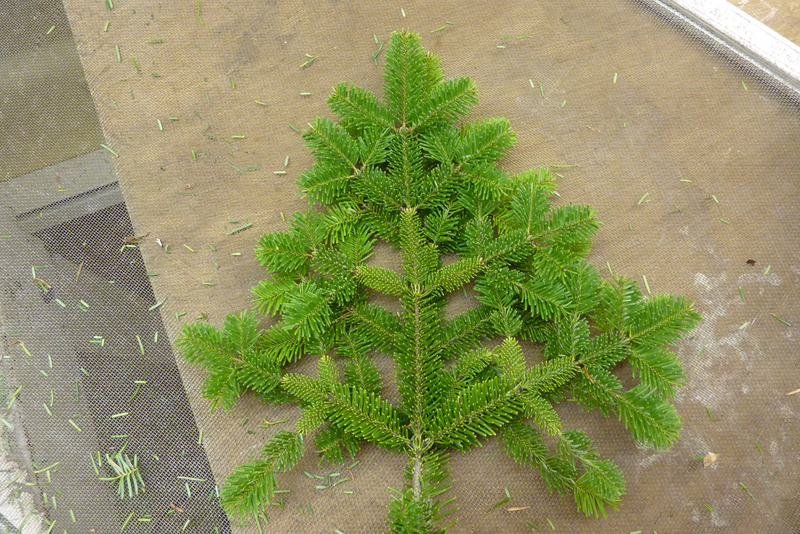 Many may not know that evergreens need a good hard frost to set the needles on their boughs which is why we don’t harvest greens earlier than November for our wreaths. The greens are kept cool and watered every so often so they don’t dry out. Because of this our wreaths tend to hold their needles very well and can last for months indoors and out. The only thing that hinders this is a south facing exposure in full sun. Wreath assembly involves cutting boughs down into smaller pieces that can be grouped into small bunches. Once that is done, our double sided wreaths are assembled one bunch at a time by wrapping them with wire around a wreath ring. 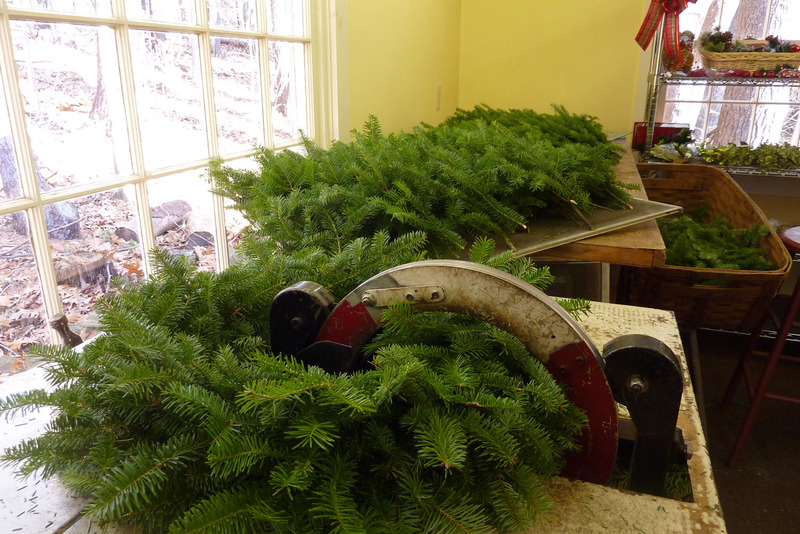 All in all it is a time consuming process but one that produces beautiful fresh, full wreaths. On average we will make 80 to 100 wreaths for the holiday season.